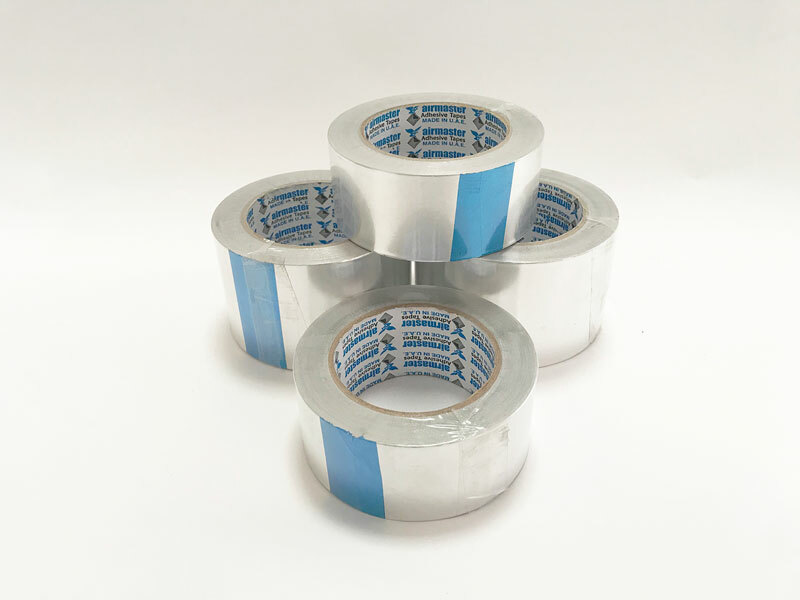 Advance Packaging & Adhesives LLC is best manufacturer and supplier of Aluminium Foil Tape all over UAE including Abu Dhabi–AUH, Ajman – AJM, Sharjah – SHJ, Dubai – DXB, Fujairah – FUJ, Ras Al Khaimah – RAK, Umm Al Quwain – UAQ. Airmaster Aluminium Foil Tape is soft malleable aluminum foil coated with an aggressive Acrylic & Hotmelt adhesive. Superior quick stick at normal temperatures with superior low temperature performance at freezing. • Provide an excellent vapor barrier, as it conforms well to irregular surfaces. • Create a heat Shield, benefiting the appliance and automotive industries. • Wrap copper refrigeration coils inside refrigerator walls. commercial airplanes are sandblasted and repainted.